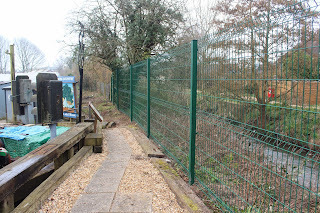 The new fencing is almost complete, with just a couple of minor adjustments to carry out. 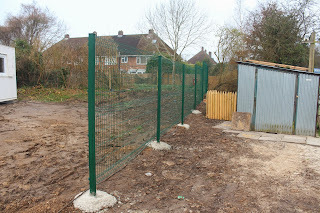 Temporary boarding has been erected where the new gates will be installed. These will be fitted in the near future. The old fencing was looking distinctly "tired" and so the new fencing will enhance the overall appearance of the site. It will also add to the security. 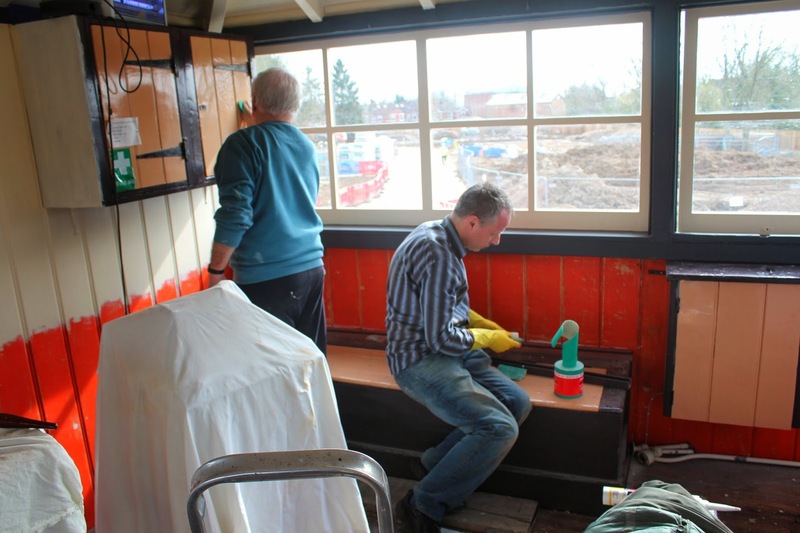 The ongoing redecoration of the inside of the signal box is now well advanced. 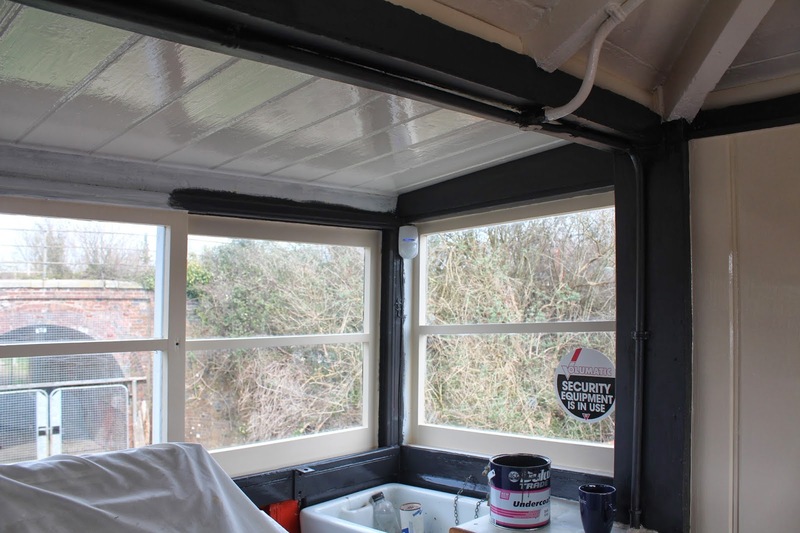 The ceiling is complete and the windows, frames and door have been prepared, primed and undercoated. The windows are due to be glossed on Tuesday the 1st April. The outside of the wooden cupboards have been prepared and undercoated. These are now also ready for the top coat of paint. There is now just a small amount of preparation work to carry out on the lower walls. These can then be primed, undercoated and glossed. We are getting to the stage where things will take shape very quickly. We want to get this inside work completed because we need to move to the outside of the box by the summer. Anther day at the box, and most of the day was used up by a meeting to discuss what the plans were for the cowley bridge biulding. Little work was done on site (a little tiding here and there). But Keith was cracking on with the box interior, the roof is complete and now he's working on the windows and walls. In the near feuture, the fencing arround the box is to be replaced and improved. New flooring will be installed in the box. And in a slightly further feuture, the box interior painting will be finished. At the moment the box is not at risk of flooding, there is pleanty of room in the old canal, and after the recent storms, everything is still as it was.